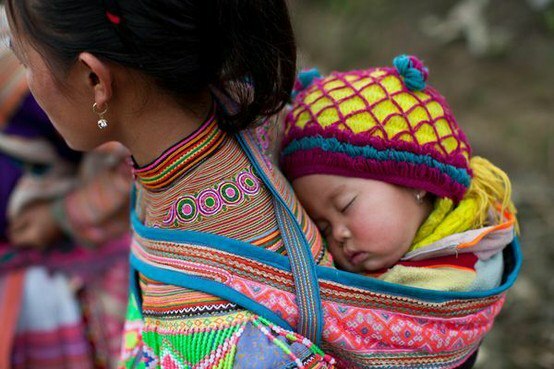 Baby Wearing Around The World! 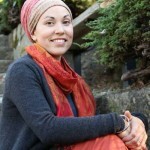 When I was pregnant with my third child I read, “Bountiful Beautiful Blissful. In this book she explains how much mamas and babies benefit from being carried in a sling. She explained how babies now days are so hooked on plastic, many people use bottles instead of nursing, they use pacifier instead of nursing, strollers instead of slings, and cribs instead of sleeping in bed with mama and papa. A generation of babies being brought up attached to plastic instead of a human. Well we are out to change all that, and I’m happy to say that I see first hand how many mothers are making the choice to go back to the way God intended things to be. Bodhi was our first child to be held in a sling and I love it. He enjoys his baby sling so much, and even at 19 months I put him on my back ever evening and set out on a 45 minute walk. I love to go out when it’s dark out, the girls are in bed and it’s just my time with Bodhi. He usually always falls asleep on my back and I can feel his little warm body, with his slow breath, as he sleeps on my back. I love these images of women and men wearing baby slings all over the world. It is only in our modern culture that we push our babes in front of us, instead of wearing them on our bodies. Just to clarify, I have nothing against strollers, I use one myself sometimes, but baby slings are the way to go in the long run. I truly suggest that all mamas and papas try it out. My husband never used a sling but I think there is nothing more awesome than a man carrying a babe in a sling. I’d love to hear some of your own personal stories of using a baby sling. Siri, I totally agree that seeing a mother (or father) and their child walking together, wrapped into one unit, is a beautiful thing. I have personally never had the chance to carry my neice or friend's children in a sling, but have marvelled at how easily and lovingly my bestfriend can get her youngest all wrapped up into about a million different positions all by herself. The sling and she are pretty amazing to watch! Hi, I agree with this so much.